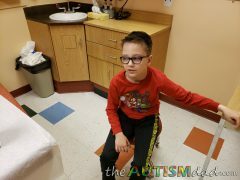 Getting the flu shot is extremely challenging for Autism families like mine but this is why we do it anyway. 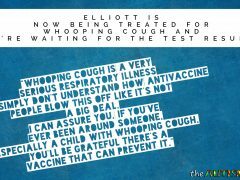 Whooping Cough is a very serious respiratory illness and I simply don’t understand how antivaccine people blow this off like it’s not a big deal. 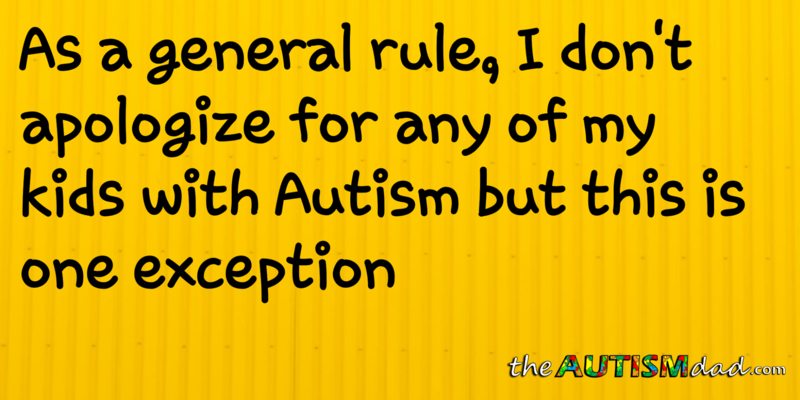 I can assure you, if you’ve ever been around someone, especially a child with Whooping Cough, you’ll be so grateful there’s a vaccine. 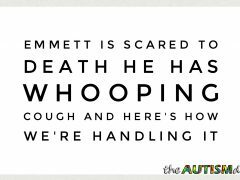 We’ve been very careful what we said around Emmett but he looked it up himself and that has him terrified. 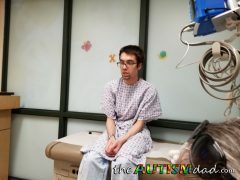 At that point, we felt it best to be very honest with him about what Whooping Cough is. 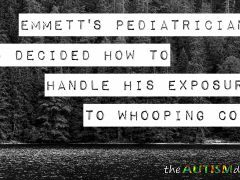 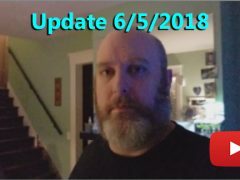 What makes this particular situation an exception to that rule is that Emmett had direct exposure to someone with Whooping Cough and we have someone in the home with a compromised immune system.